DETROIT - The Detroit Red Wings have recalled centre Stephen Weiss from his conditioning loan with Grand Rapids of the AHL. 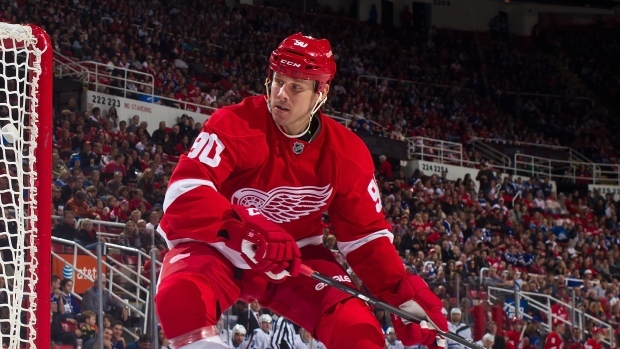 The 31-year-old Weiss was limited to 26 games for the Red Wings in 2013-14 and did not play after Dec. 10 because of hernia surgery. The Toronto native had two goals and two assists in his first season with Detroit after signing a five-year, $24.5 million contract. Weiss has played in 681 games since 2001-02. He has 147 goals and 251 assists with Detroit and Florida. The Red Wings host the Los Angeles Kings on Friday night.